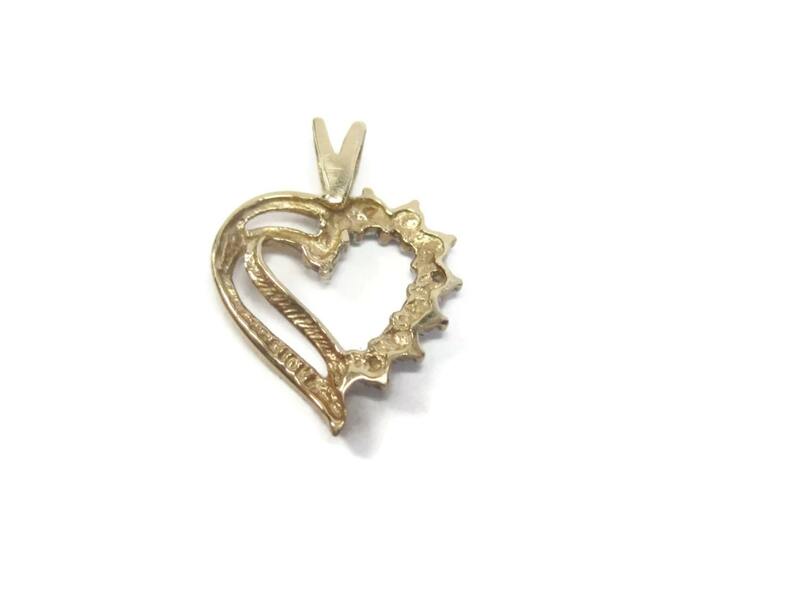 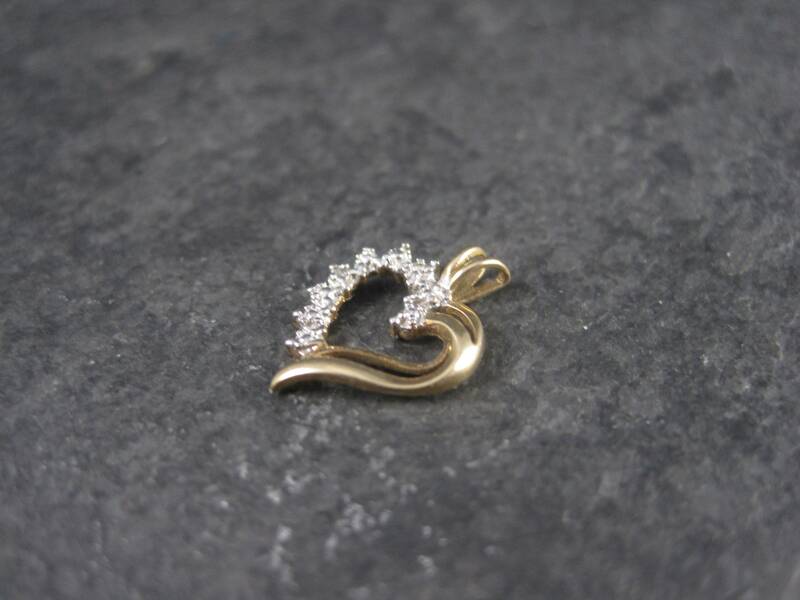 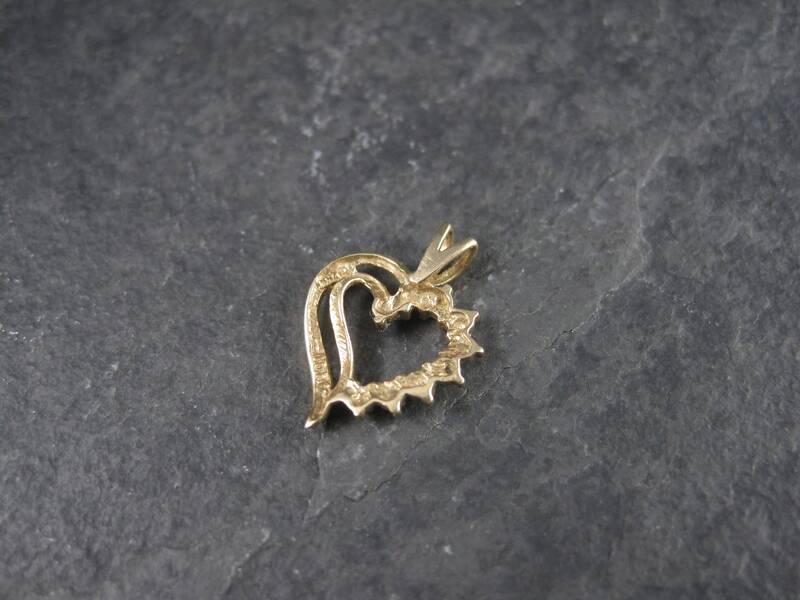 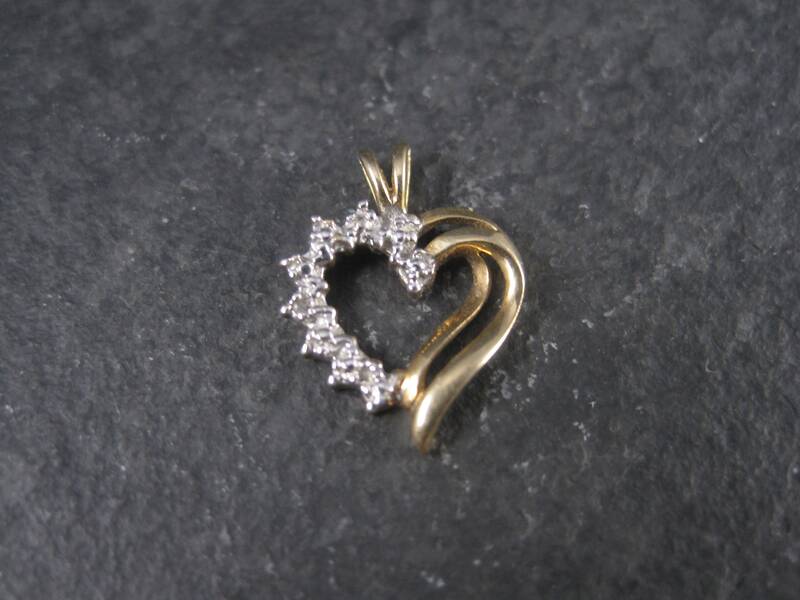 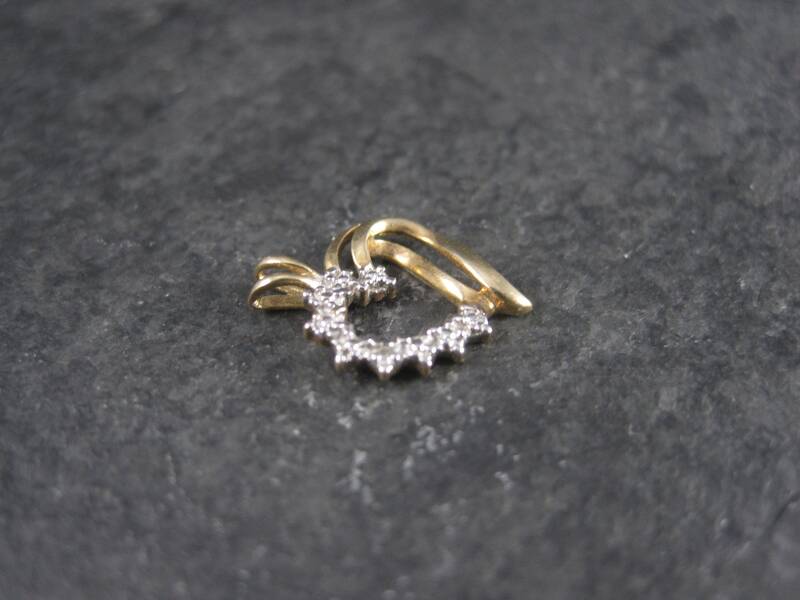 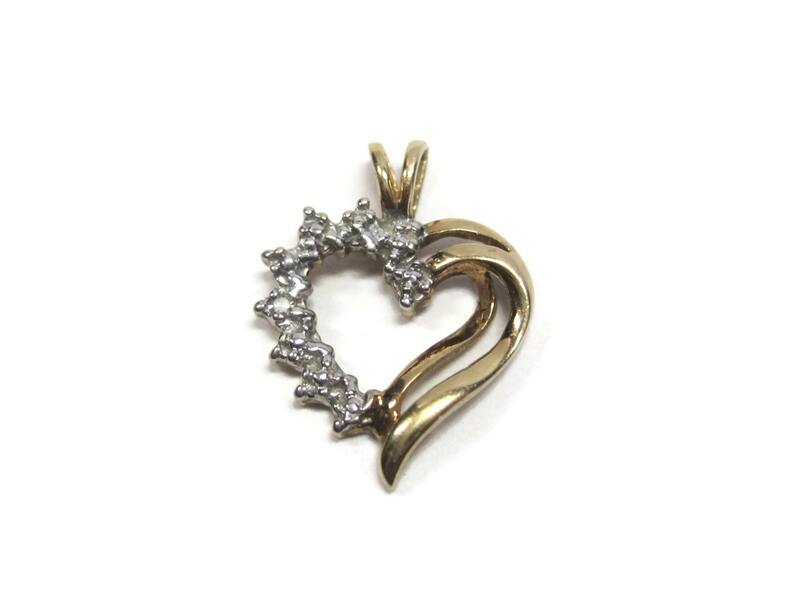 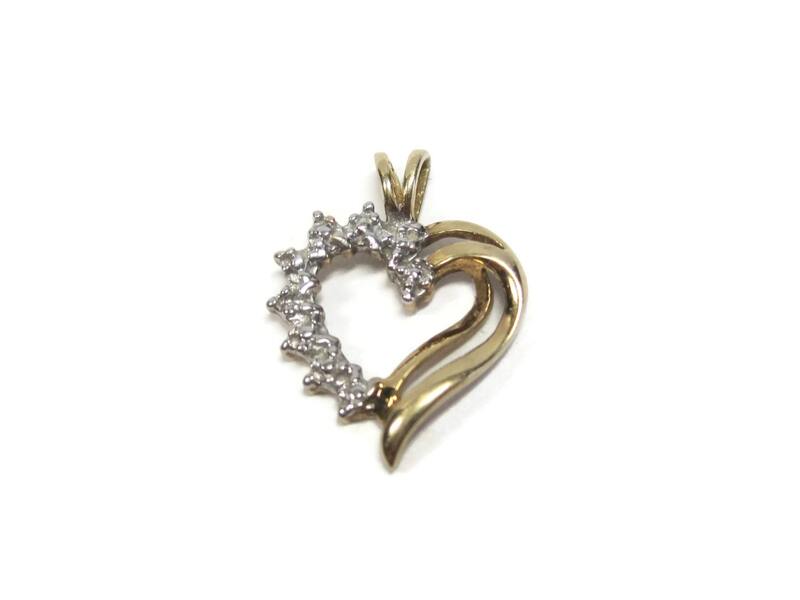 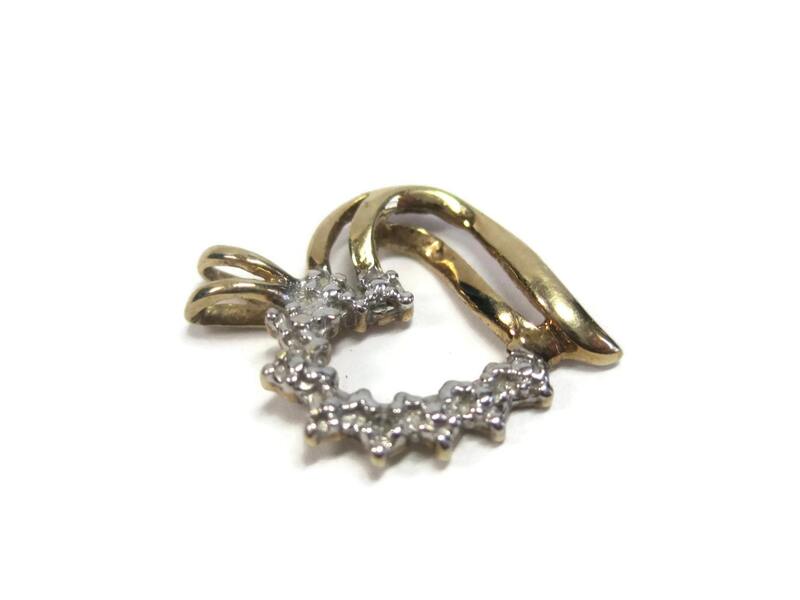 This beautiful little pendant is 10k yellow gold with white gold accenting. 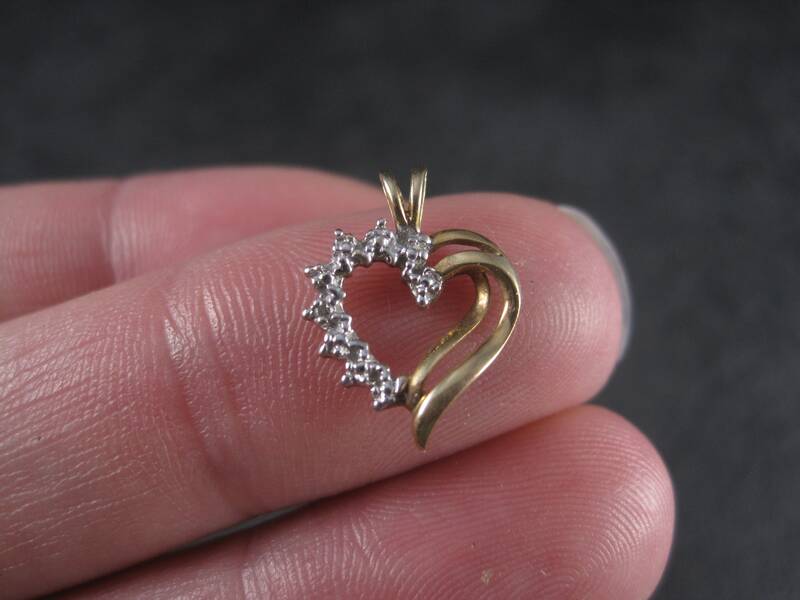 It features tiny diamond chips. 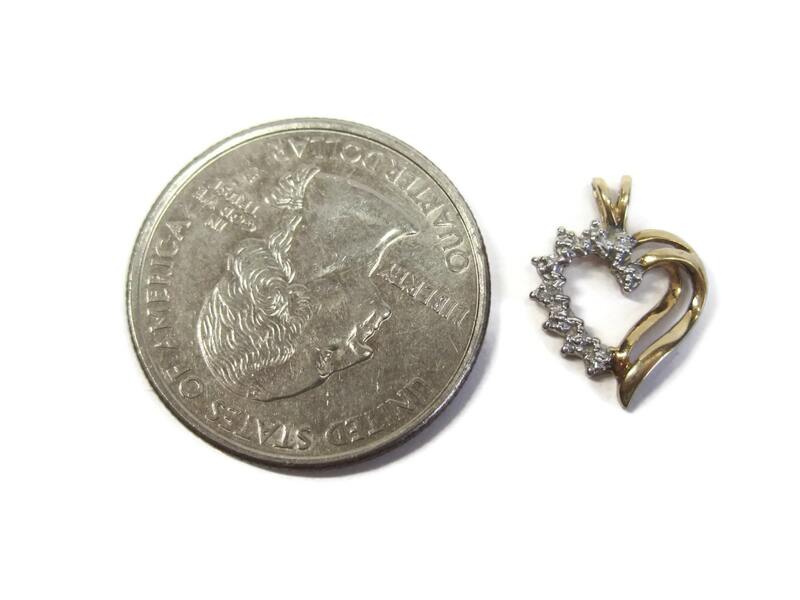 The pendant measures 1/2 by 5/8ths of an inch.